Late Night London has continued to invest in its venue portfolio with two new additions. 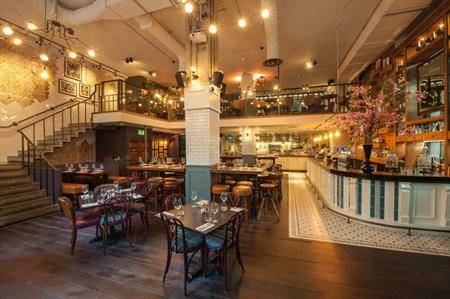 The new venues include Balls Brothers Austin Friars, formerly The Gallery and Balls Brothers Shoe Lane formerly The Last bar. Venue Hays Galleria has also had a significant refurbishment. The refurbished Balls Brothers venues have been revamped with Spirit and Wine Kitchens, classic food menus and extensive wine lists. Balls Brothers Hays Galleria can host up to 250 people while Balls Brothers Austin Friars and Shoe Lane can host up to 350 for conferences, Christmas parties and team away days. Outside of the Balls Brothers venues, the venue collection has also refurbished one of its most popular West End sites, Gem Bar. The bar, located on Beak Street in the West End, can host up to 550 people. The venue hosts Christmas parties, cocktail making masterclasses and team celebrations, and contains its own games room, Play Haus.